Amazon is going to launch a music streaming service to compete with Apple Music and Spotify. The name of the service is not yet decided as reported by Reuters. Amazon already has an in-house music streaming service named as Amazon Prime, which is offered at $8.99 per month. 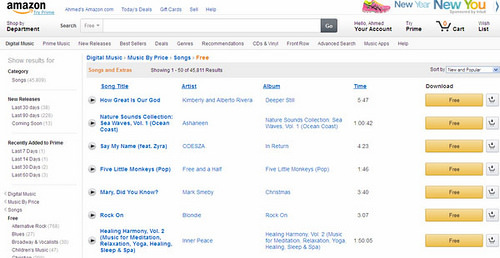 Amazon Prime is a service with a catalog of 1 million songs only. The new service is likely to offer a catalog of 30 million songs to its customers priced at $9.99 per month. The price and catalog are similar to the competitor’s services. The service will hit the market in late summer or early fall this year. It is a little late for Amazon to enter the market of streaming music but it is not the end for the retail giant to enter the market. Amazon, based on its strong brand name, can still get a lot of customers and subscribers and can be a threat for Apple and Spotify. Amazon is hoping to link the new service with the Amazon Echo to enhance the user experience. Amazon believes that a full-fledged music streaming service is necessary to be a one-stop shop for content and goods. A former music executive Jay Samit said on this news that, "A music service will further increase the daily interactions between Amazon and its customer base." Apple and Google have recently invested hugely in streaming music services and now have their own streaming music services. Amazon believes that it can encounter the already crowded market due to its strong brand name. Amazon plans to sell essential music services through its Prime Music service for $8.99 and the additional services for $9.99 through its new service, according to the person close to the matter. According to the person, the new service is in the final touches, and Amazon is finalizing licenses and labels for the service. The person told us that the new service would be launched very soon. Note that this news is not confirmed by Amazon which is not surprising as Amazon does not quite tells about anything to anyone until it is ready for launch.